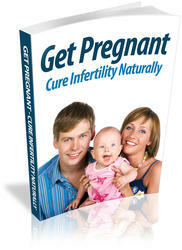 This book's title notwithstanding, we're going to assume that you know the basics of how to get pregnant. 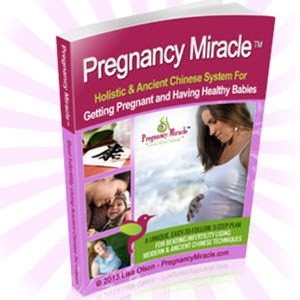 What many people don't know, though, is how to make the process most efficient, so that you give yourself the best chance of getting pregnant as soon as you want to. To do that, you need to think a little about ovulation — the releasing of an egg from your ovary — which happens once each cycle (usually once per month). After leaving the ovary, the egg spends a couple of days gliding down the fallopian tube, until it reaches the uterus (also known as the womb). Most often, pregnancy occurs when the egg is fertilized within 24 hours from its release from the ovary, during its passage through the tube, and the budding embryo then implants in the uterus's lining. (See Figure 1-1 for a quick look at the anatomical aspects.) In order to get pregnant, your job (and the father-to-be's) is to get the sperm to meet up with the egg as soon as possible (ideally, within 12 to 24 hours) after ovulation. 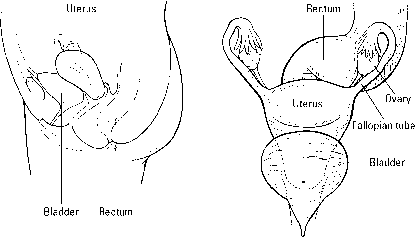 An overview of the female reproductive system. conceive within four months. By six months, three-fourths of them make it; by a year, 85 percent do; and by two years, the success rate is up to 93 percent. If you've been trying unsuccessfully to conceive for a year or more, a fertility evaluation is warranted.